Vivo quietly announced Y95 at Php 13,995. Vivo Y95 is now official in the Philippines with 6.22-inch Halo FullView display, 20MP front camera, and 4GB of RAM. It's another great addition to the existing lineup of the company. The Vivo Y95 covers an 88.6% screen-to-body ratio with 1520 x 720 HD+ screen resolution. This allows the handset to offer vibrant colors, clear text, and stunning images. At the back, the Vivo Y95 packs a 13MP primary sensor coupled by a secondary 2MP camera for depth of field sensing. The handset is also equipped with 4030 mAh battery. It ticks with Qualcomm Snapdragon 439 which is developed thru a 12-nm process. Users will have 64GB storage and Jovi smart assistant. 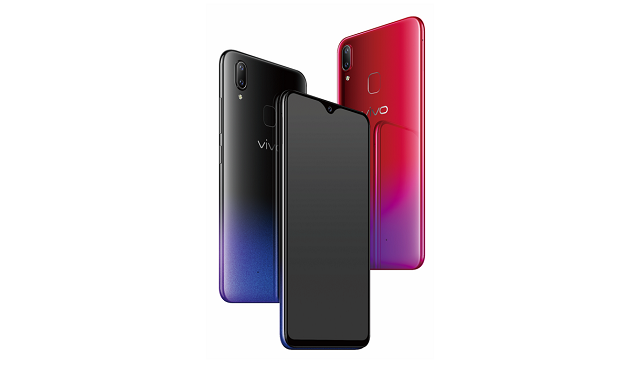 The Vivo Y95 is available in Starry Black and Aurora Red hue, and is priced at Php 13,999. You can get it in Vivo's official online stores in Shopee and Lazada.